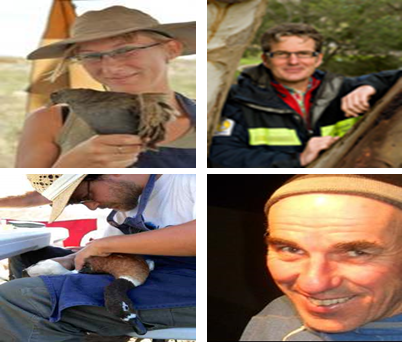 Marta F., Marcel K., Simeon L. and David R.
Background: Avian influenza viruses (AIVs) are found worldwide in numerous bird species, causing significant disease in gallinaceous poultry and occasionally other species. Surveillance of wild bird reservoirs provides an opportunity to add to the understanding of the epidemiology of AIVs. Methods: This study examined key findings from the National Avian Influenza Wild Bird Surveillance Program over a 5-year period (July 2007–June 2012), the main source of information on AIVs circulating in Australia. Results: The overall proportion of birds that tested positive for influenza A via PCR was 1.9 ± 0.1%, with evidence of widespread exposure of Australian wild birds to most low pathogenic avian influenza (LPAI) subtypes (H1–13, H16). LPAI H5 subtypes were found to be dominant and widespread during this 5-year period. Conclusion: Given Australia’s isolation, both geographically and ecologically, it is important for Australia not to assume that the epidemiology of AIV from other geographic regions applies here. Despite all previous highly pathogenic avian influenza outbreaks in Australian poultry being attributed to H7 subtypes, widespread detection of H5 subtypes in wild birds may represent an ongoing risk to the Australian poultry industry.